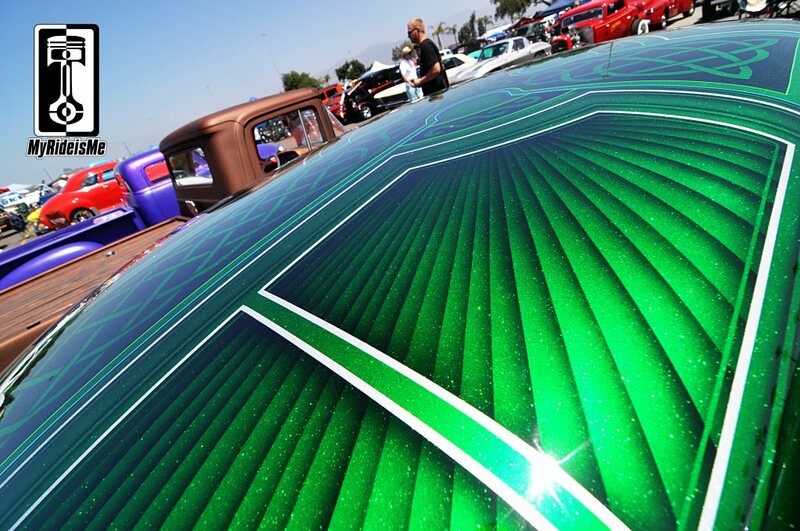 The LA Roadster Show’s about as good as it gets for finding customs and hot rods. Nobody argues that SOCAL was where it all started. 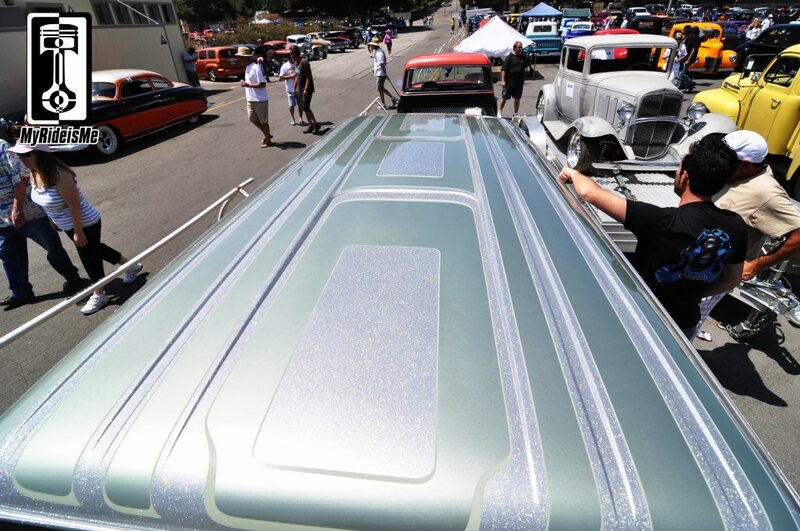 Among all the cool rides Brian (from problemchildkustoms.com) and I saw at the 2013 event, we collected just a few of our favorite “Flaked Roof” examples to continue on what’s been a popular story: Metal Flake Roof Dazzling Photos. So here goes… Which one’s your favorite? 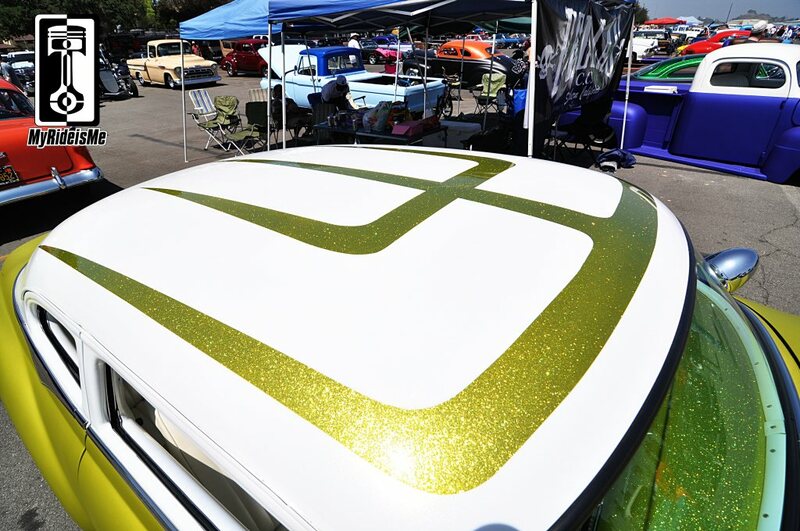 No stranger to magazine and web coverage, this is the roof of CHURCH (Coby Gewertz) wicked, extremely cool Econoline van. The detail overflows inside and out, The flaked roof is the perfect topper and puts it over the top. 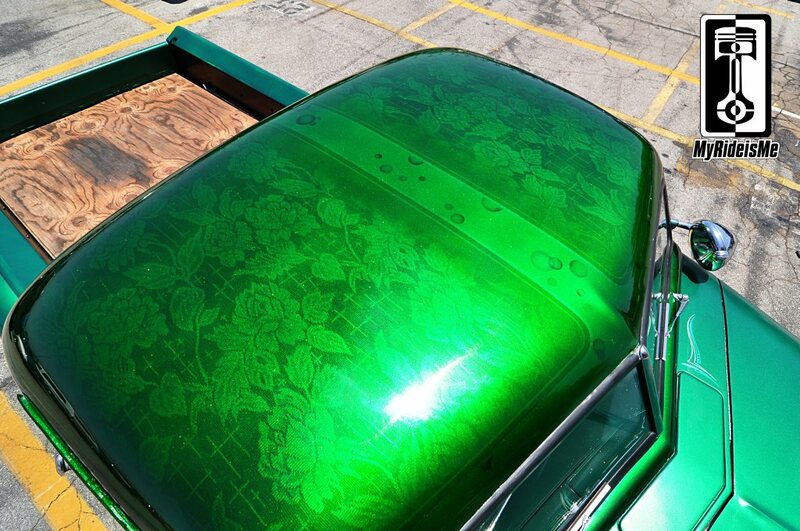 This van's an amazing piece of automotive art! 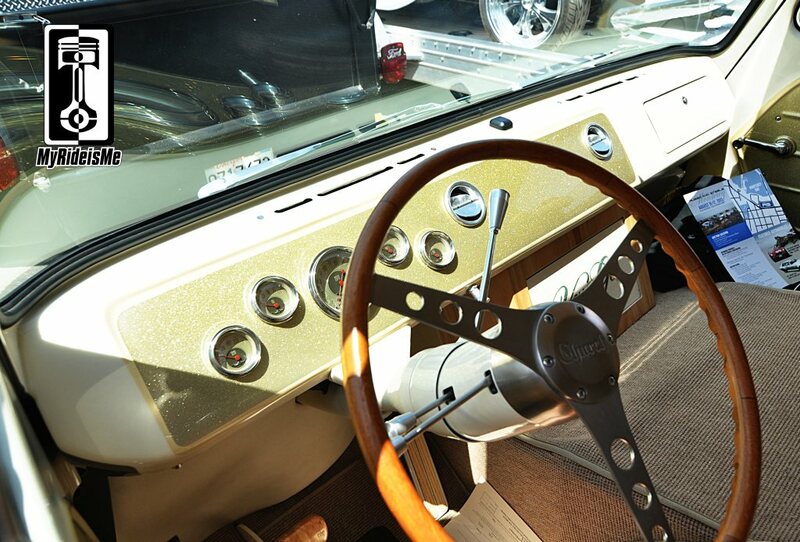 Did I mention how custom the inside is? To add a little sparkle inside, Coby backed the gauges with gold flake. This is a continuation of the detail shot leading off this story. Amazing! This is the best overall shot I could get of the roof. I'm like a walking latter, but to get the right angle I needed to get a little higher. You get the idea! 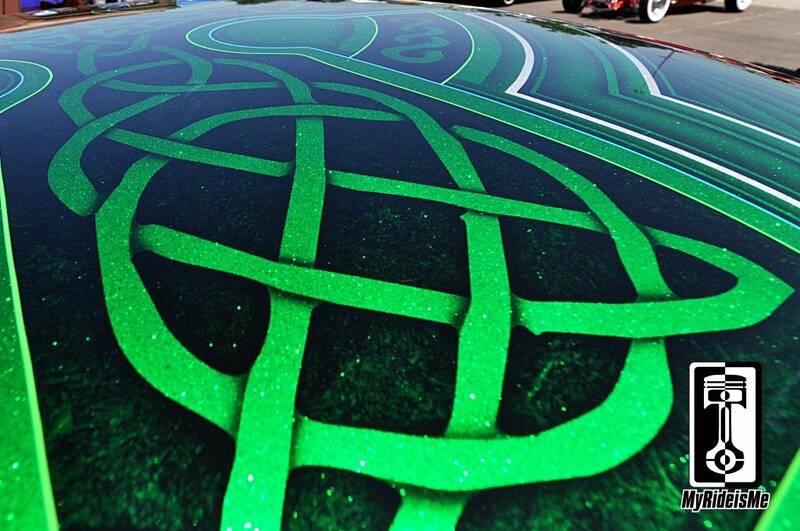 When lines like this overlap, is it painted in one continuous, seemingly flat area, then separated by more paint and/or airbrush? How's this done? As a goofy engineer, I always wonder... where's the origin of these lines? And how did you decide? Anyone planning to do something like this again, I'd love to be there to watch! Lace and... what are those round blobs? 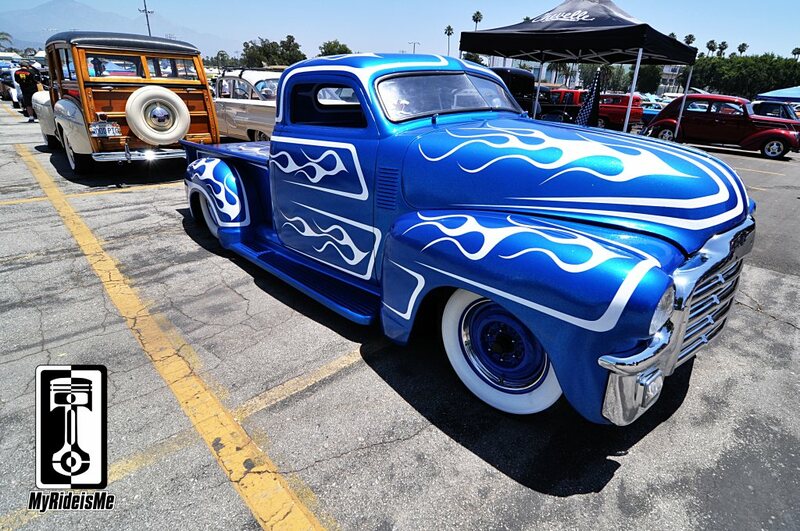 I've seen Doug from Squeeg's Kustom paint those and heard him say the name, but I can't remember. 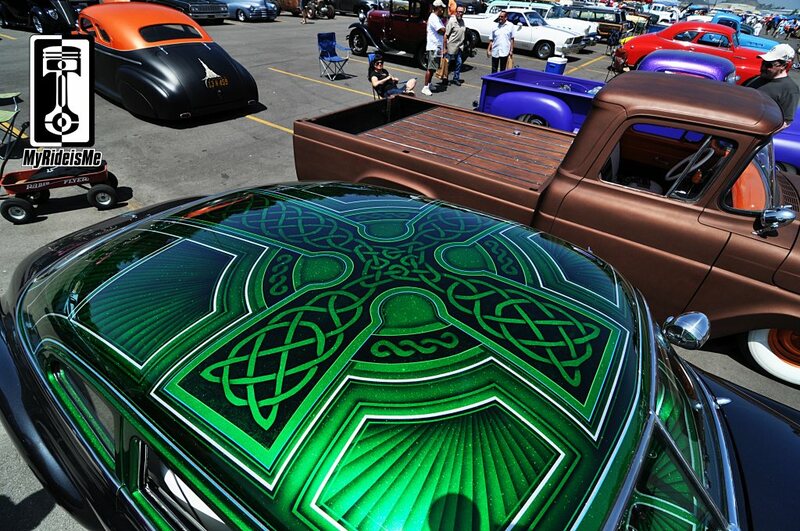 This truck's roof was killing it! You can't see the roof here, but trust me, it's flaked! The whole truck is! Nothing like a sunny southern California day to make the most of it. 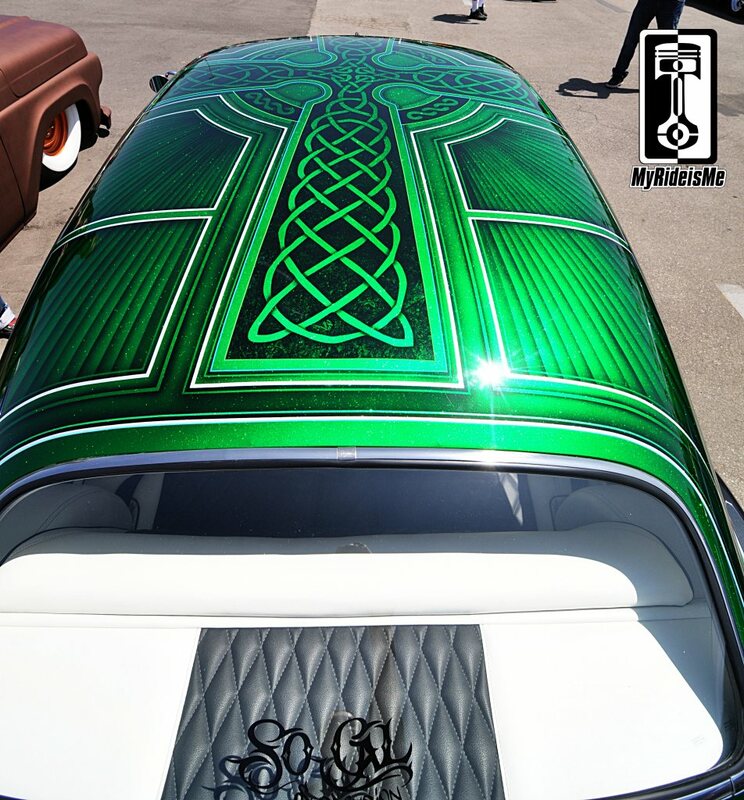 This paint might not be for everyone, but that's what My Ride is Me is all about! I bet it fits the owner perfectly! I guess I’ll close with this shot. This all black sedan had a crazy rainbow flaked roof. I shot the palm trees, then turned the photo around 180 so the trees weren’t growing out of the sky. Kinda like this one, so I make it my Facebook cover shot.